Self employed vs Limited company – which is right for my business? You have made the decision to turn your back on the security of employment, and go it alone as your own boss. Now the next big decision you have to make is whether you are going to set up as a limited company or to operate as a self-employed sole trader. The choice you make here is important as it will affect many aspects of your business, including your legal and tax responsibilities. Opting for the wrong business structure can see you paying more tax than is necessary, as well as opening yourself up to personal liability if things go wrong further down the line. Each structure has its own set of pros and cons, and you must ensure you choose the best one for your company. This is the most popular way of running a business in the UK, and may be the best option if you want to get your company up and running quickly with minimal fuss. You can set the wheels in motion without worrying about filing annual accounts, paying corporation tax, or registering your business with Companies House. Instead you just need to register for Self Assessment which is a simple process that can be done online. Following that your only administrative responsibility is to complete your Self Assessment tax returns each year. To help with this process you should get into the habit of keeping an accurate record of your expenses, receipts and invoices from day one. A major drawback to this type of structure is that no legal distinction between yourself and the company exists; you as an individual are essentially the business. 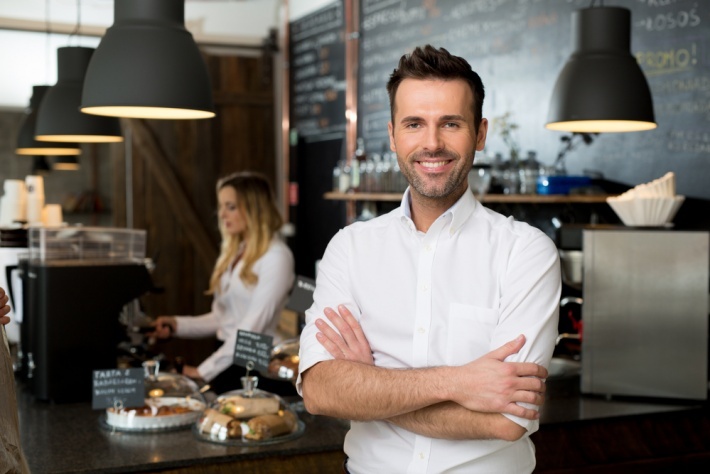 If the business fails for any reason, and there are debts outstanding, a self-employed sole trader is held personally liable for this and must ensure the debt is cleared. In extreme cases therefore, you could find yourself declared bankrupt as a result of your business’ financial difficulties. You must pay income tax on any profits which take you above the personal allowance, currently £12,500 (2019/20 tax year). You should be aware that your personal allowance includes any income received from other sources, for instance if you are in paid employment elsewhere. You are also responsible for making National Insurance contributions (NIC) on any profit above £6,365. Choosing to set up as a limited company is not as straightforward as registering as self-employed, and it does come with ongoing additional administration responsibilities. The business needs to be registered with Companies House, directors must be appointed and an annual tax return along with a set of accounts must be filed. On the plus side however you could find yourself paying substantially less tax than you would as a sole trader. This is because you are able to take company profits as dividends instead of receiving this as income; dividends are taxed separately, and are not subject to NICs. Due to this, limited companies tend to have more complex accounting responsibilities; however you can employ an accountant to ensure you are fulfilling your tax and legal obligations. A major difference between a limited company and a sole trader is that a limited company is classed as a separate legal entity to its shareholders and directors. 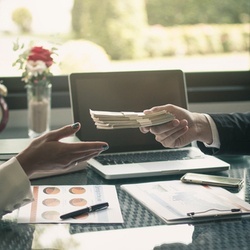 This means that unless fraudulent activity has taken place, you as a director will not be held personally accountable for any financial difficulties the company finds itself in. This creates a clear distinction between your home life and your business, which helps to reduce the financial risk to those individuals involved with the company. The decision as whether to operate as a sole trader or as a limited company is a difficult one to make, and there is no definitive right or wrong choice. What may be the best structure for a small business venture will be different to that needed by a larger enterprise with high turnover and multiple employees. Regardless of which path you choose to take, it's worth noting that your decision isn't final as it is always possible to change your business structure at a later date should your needs change. Your accountant will be able to provide help and guidance on this when the time comes. If you need help finding an accountant, Handpicked Accountants can match you with a trusted accountant who has been thoroughly vetted and comes highly recommended. Our expert team will be happy to put you in touch with a local accountant who meets your business needs, or alternatively you can search our database here. 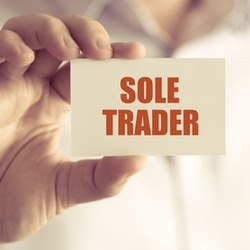 What are the advantages and disadvantages of being a sole trader? How should I pay myself through my limited company?